Over the course of Lent last year, I did a series of twelve posts of photographs from the Station Churches, taken by a Roman friend, Agnese Bazzucchi. 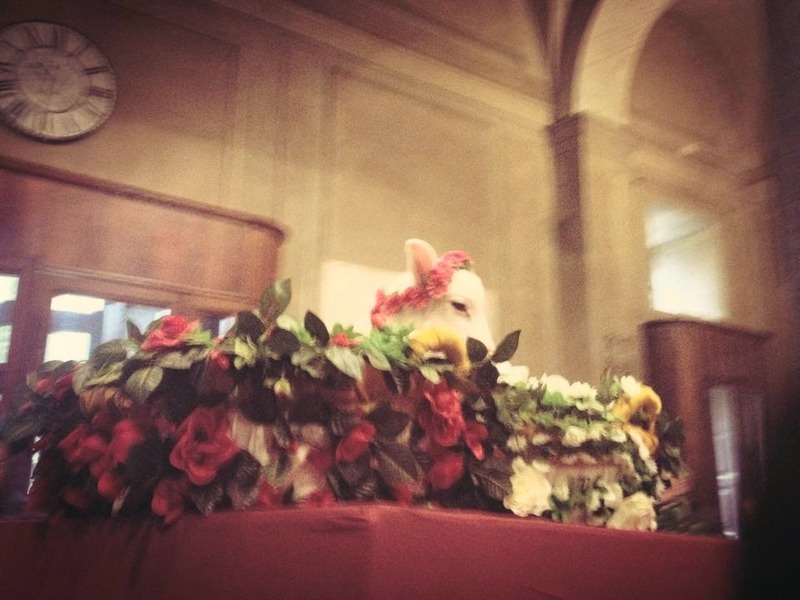 Agnese celebrated her name-day today (tanti auguri!) with a visit to the church of Saint Agnes outside-the-Walls, the original site of the martyr’s burial, and very kindly agreed to share some more photos with us. 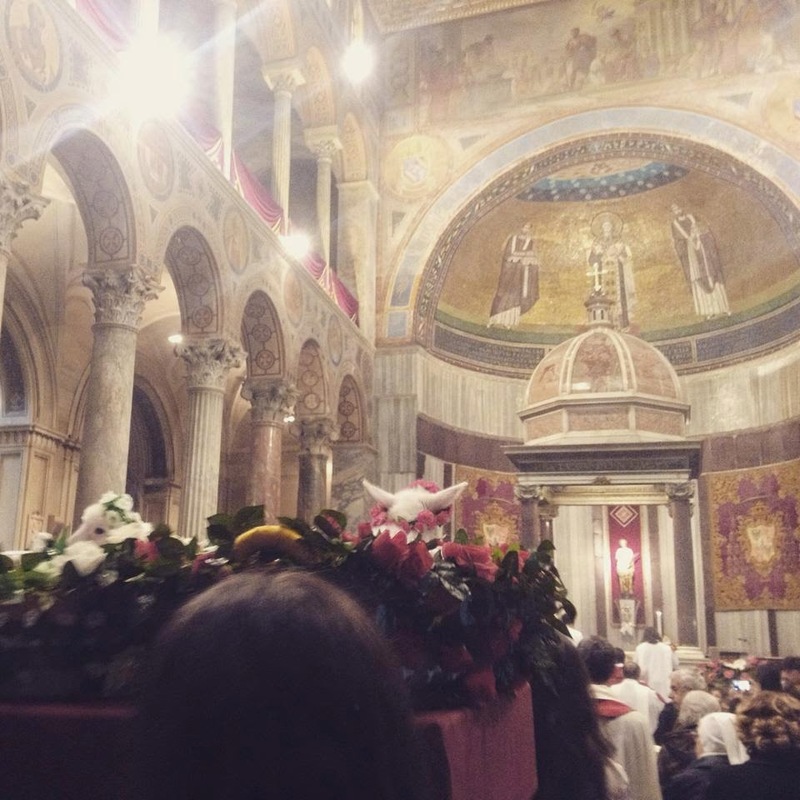 Each year at the principal Mass of the feast held in this church, the Abbot of the Canons Regular of the Most Holy Savior of the Lateran blesses two lambs; their wool is then shorn to make the pallia which, on the feast of Ss Peter and Paul, the Pope gives to all those who have been made archbishops over the previous year. 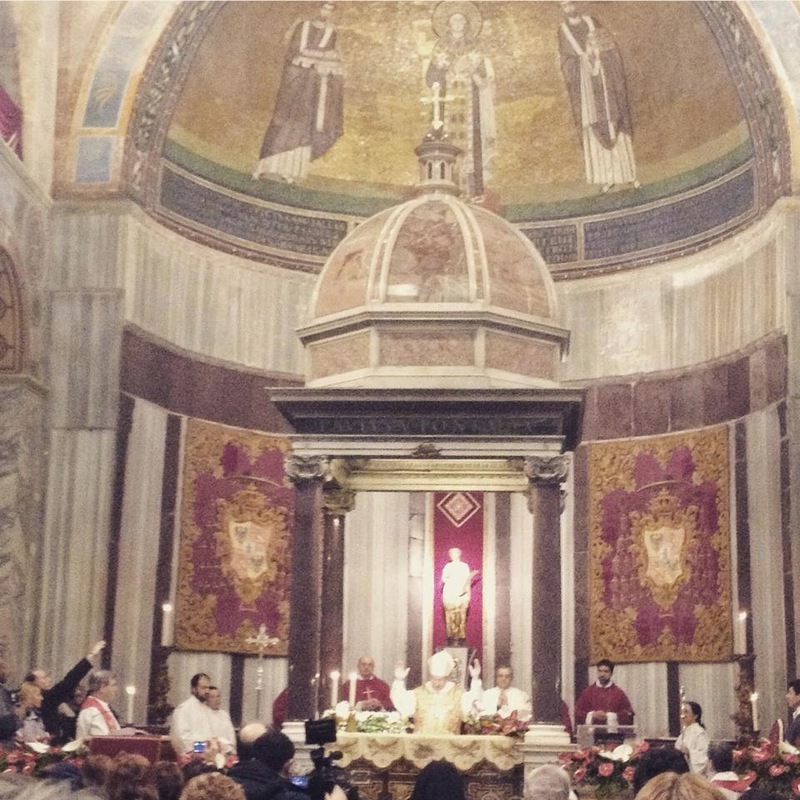 The second photograph shows how beautifully the church’s sanctuary is decorated for the feast. 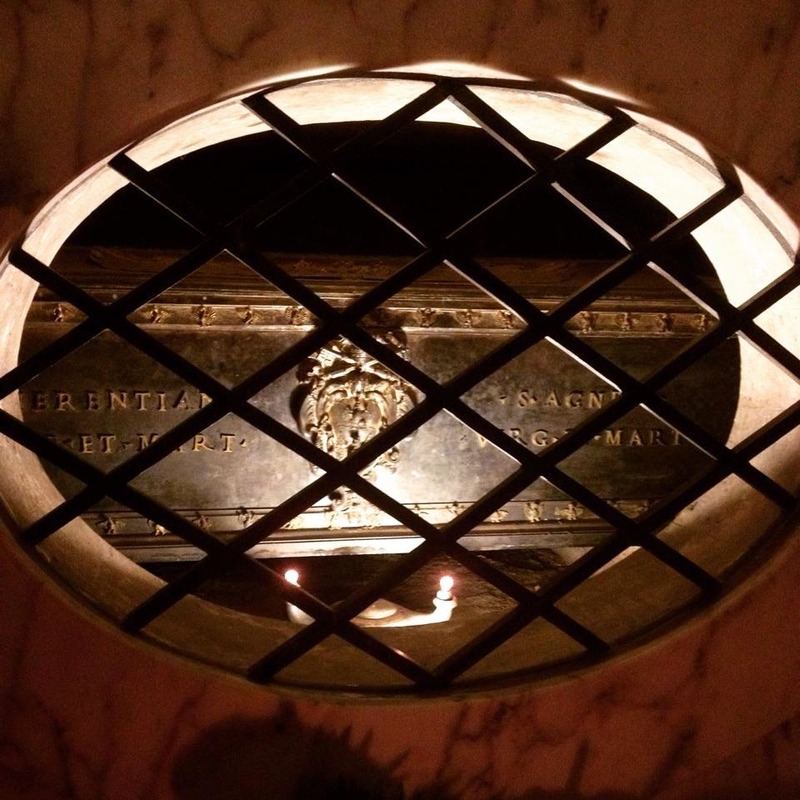 In the crypt under the altar is a silver casket donated by Pope Paul V Borghese (1605-22), containing the relics of St Agnes, and also those of St Emerentiana, her “collactanea” or “foster-sister”, whose mother was Agnes’ wet-nurse. According to her legend, two days after Agnes’ martyrdom, Emerentiana was spied praying at her tomb by a gang of pagan thugs, and stoned to death by them on the very site. At the time of her death, she was only a catechumen; the veneration of her as a Saint from very ancient times is an important testimony to the Church’s belief in baptism by blood and by desire. Her feast is on January 23rd in the calendar of the Extraordinary Form.